Nero Wolfe has actually left his house, and ventured out into the world. 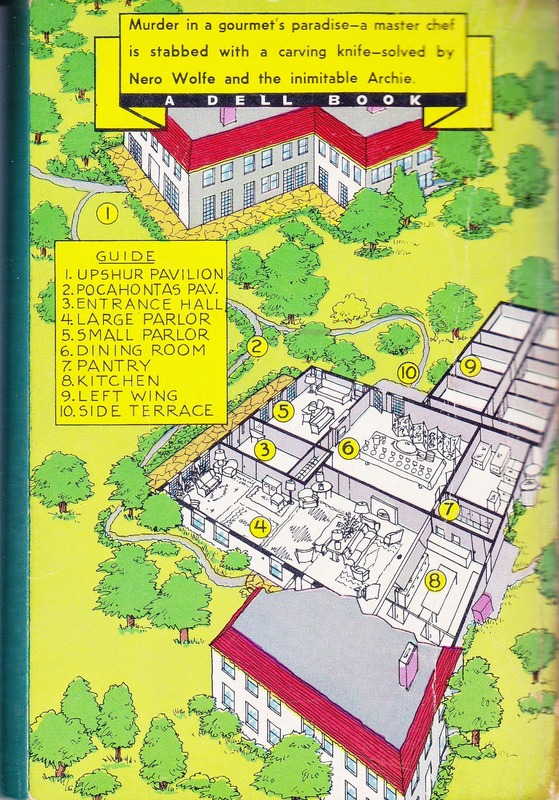 He and Archie Goodwin are attending a meeting of the Fifteen Master Chefs of the world at the Kanawha Spa in West Virginia. At this meeting, Wolfe, a great gourmet, will be the guest of honor and will deliver a speech on the closing night. Only an event and an honor such as these will tempt him to undergo the perils of a train trip from New York to West Virginia. All fifteen chefs are not attending. Three have died, and two chose not to attend which has left ten master chefs to attend and compete and express their resentments about each other. The dubious honor of being the most disliked chef goes to Phillip Laszio who is the chef at the Hotel Churchill in New York. Lazlo is accused of stealing this job, stealing the wife of another chef, and of stealing recipes. On the second night of this meeting, a wager is made by Louis Servan, chef of the Kanawha Spa and Ramsey Keith of the Hotel Hastings in Calcutta. A complicated test is set up and each of the attending chefs and Wolfe will participate in the tasting of nine samples of sauce printemps and will determine the missing ingredient in each sample. Phillip Laszio volunteers to prepare the samples of the sauce. Servan believes that the tasters will only get eighty per cent correct. The tasting proceeds and each taster enters the test room alone; only Phillip Laszio is in the room with the taster. At the end of the test, the body of Phillip Laszio is found behind a screen in the room. He had been stabbed with a steak knife. 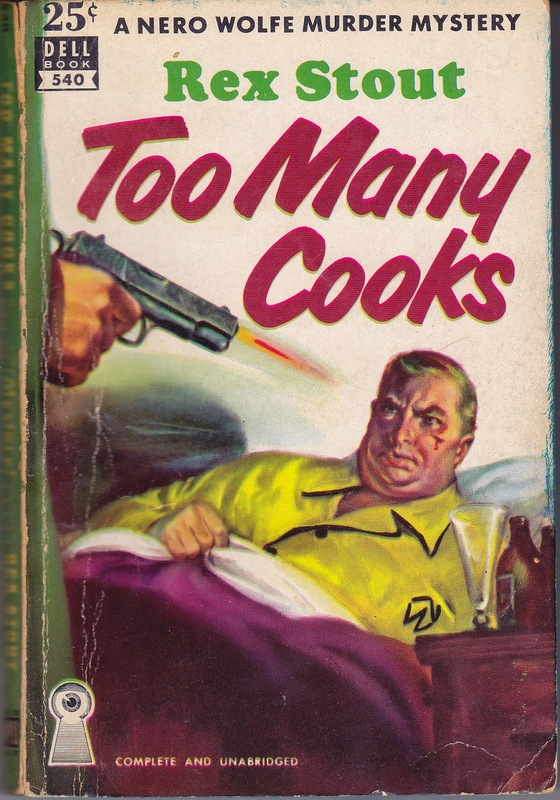 Several people ask Wolfe to find the murderer and offer to pay him, but Wolfe is reluctant to accept the job until his friend, Jerone Berin, chef of the Corridona in San Remo, is arrested. Then Wolfe starts to look at the possible suspects, and there are a great many suspects in this case. Each master chef had been allowed to bring one person with him, which means that there are wives and one daughter present. There is also the large kitchen staff of the Kanawha Spa who also may be involved. Raymond Liggett, the manager of the Hotel Churchill where Laszio was employed, also shows up after the murder seeking a new chef. Wolfe does solve the case, and almost loses his life in the process. This was a very readable book, and foodies will enjoy it very much. The really diligent reader may want to take notes about who is who, and who was where when the murder occurred. The kitchen staff are African Americans, and there are a number of racial slurs which are indicative of the time when this book was written. Wolfe and Goodwin are above this sort of thing, and treat the kitchen staff quite well. I should note that there are recipes at the end for dishes mentioned in the story. This includes one for Tennessee opossum should you have an opossum on hand. 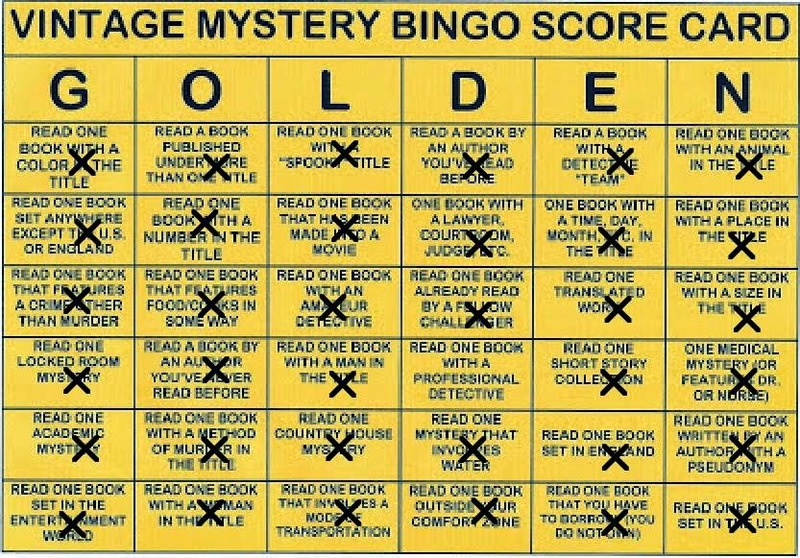 I have read this book for the 2014 Vintage Mystery Bingo in the category of a book which features food/cooks in some way. I found this to be the most difficult category in the Bingo. I read the book Meat for Murder which really had nothing to do with food. I also read Murder is Served which does have some references to a steak and a restaurant. I am indebted to Bev Hankins who reviewed this book in July for the suggestion of this title. This book was published in 1938 and is now available in book paper and ebook form.